Helsell Fetterman, a Seattle-based law firm providing exceptional legal solutions for businesses, organizations and individuals is pleased to welcome Kameron Kirkevold and Michael Spence to the partnership. Kameron Kirkevold has been practicing law for 7 years and with Helsell Fetterman since 2010. Kameron’s practice focuses on representation of professional and lay fiduciaries, working with them to resolve issues that arise in trust, estate, and guardianship matters. 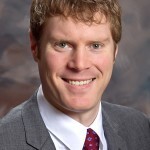 In addition to representing fiduciaries, Kameron frequently works with families and individuals to resolve their complex trust, estate, and guardianship litigation, focusing on issues involving capacity, family dynamics, trust accountings, intimate committed relationships, will contests, community property issues, and contested guardianships. Finally, when a family member suspects that a loved one is being taken advantage of, Kameron helps protect his clients under the Vulnerable Adult Protection Act. Michael Spence has been practicing in Seattle for 30 years and with Helsell Fetterman since 2012. Mike’s practice covers both commercial and residential real estate transactions, zoning and land use, code enforcement defense, government relations, and corporate formation, maintenance and dissolution. Mike will co-chair the firm’s real estate practice group. Mike’s background is in land use planning, title insurance and government relations, enabling him to appreciate the many nuances of his clients’ needs and represent his clients’ interests with greater effectiveness and attention to detail. After receiving his undergraduate degree in Urban and Regional Planning and then working for several years as a Planner in Wisconsin, Mike earned his J.D. from William Mitchell College of Law. 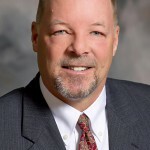 A certified real estate license law instructor, Mike has taught hundreds of seminars throughout the state for organizations such as the Washington Realtors and the Seattle-King County Realtors, and brokerages such as Windermere and Prudential. Mike is a court-appointed mediator and arbitrator in both King and Kitsap Counties. He also currently serves on the Bainbridge Island School Board and is its past president. Subscribe to our occasional newsletter offering insights into relevant legal issues.